This product contains about 380 calories per package. If you were trying to survive off of this food you would need at least 4 packages a day. This totals about 1500 calories and 40g of protein per person. There is tons of sodium inside these flavor packages. If you were eating this in a survival situation I would go easy on the flavor packet. Too much sodium could be bad if you have a medical condition such as high blood pressure. The good thing about these soups is they usually cost around 10 cents and are easily found, you can even purchase them at membership stores like Costco and Sams. To give a rough estimate lets say they cost .15 cents. It would cost you only $4.00 a week to survive, or about $200 for a one year supply. I believe this is the best aspect of this soup. It is very easy to prepare you just add hot boiling water. Of course ill leave the making a fire part up to you. 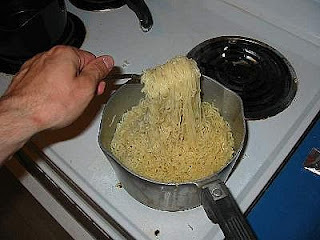 The only negative thing about getting Top Ramen ONLY, in a survival situation, is they contain no nutritional content. So you will have to also buy vitamins, or something to supplement the vitamins and minerals that you will need to survive. Remember, if your going to stock Top Ramen, make sure you also stock some vitamins as well, or maybe even some dried fruit. Water is also required to cook the Ramen soup. 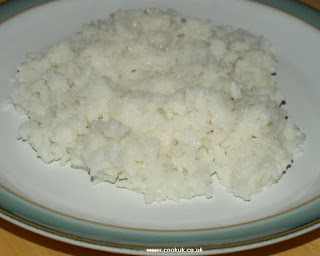 Daily you would need 2 cups of dry rice to survive. This provides about 1300 calories, and about 24g of protein. It even has a couple of useful nutrients for your body. This does not mean though that you can skip vitamin supplements. The body needs many different vitamins and minerals to survive. Many people that I have seen stock piling these kinds of foods tend to forget this. I don't know if its because they aren't taking vitamins currently, which is fine because you do get vitamins and minerals from the food variety you eat, but you still should take a daily vitamin. It is a great way to stay healthy. The last thing you want is a medical situation cause your organs are shutting down. Buying this kind of rice in bulk would cost about $5 a week, and $260 a year. 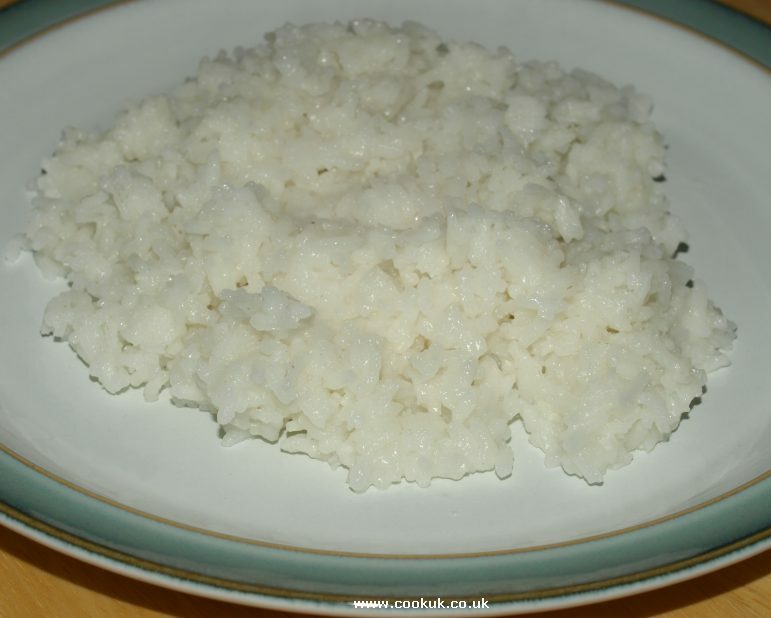 Don't forget you need water to cook this rice in. You need about 2.25 cups of this stuff dry daily, which provides about 1350 calories and 38g of protein. It does have a few nutrients inside it, but much like with the rice, you can't forget about your vitamins and minerals. You need your daily value of this stuff so that you can stay healthy. This is a fact, you can't just survive on rice or corn. I keep wanting to emphasize that. The other downside to these corn products is there shelf life isn't as high as Top Ramen, or enriched long grain rice. The price to survive off of this stuff is about $6.00 a week. That makes for $310 a year. This is not bad, but this still doesn't sound as appealing to me as the first couple of options, this stuff has no flavor. This is about as close to good eating as you are going to get when certain disaster strikes your area. 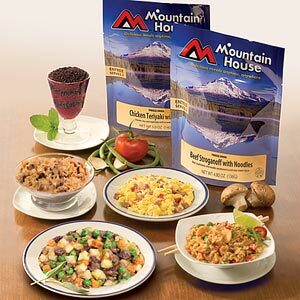 These freeze dried meals come in many different varieties. Costco has started offering freeze dried food options. These meals are excellent for nutritional value, and you probably wouldn't NEED to have vitamin supplements, because your getting your daily value of required vitamins and minerals. If you are considering to get freeze dried foods make sure to mix it up, so you don't get bored with the same thing, and so that you can get a variety of different vitamins. It doesn't matter what kind you get you can always pick and choose, one day buy a case of one type, next day buy a case of the other. The only bad thing about these meals is the price. It costs about $1000 a year just for one person. So for everyone you are trying to keep alive, make sure you pay up, that is the only way with this option. If something drastic were to happen to our society, you don't know how long you may be without electricity, or just without the ability to go outside because of rioting. Not everyone has this kind of cash to drop for a situation where there is rioting for 4 years. Thats all I have to say. Bottled daily vitamins like Centrum generally have 100% of the daily value that you need to stay healthy. If you do buy vitamins make sure you get the generic vitamins. There is no reason why you should pay for name brand vitamins. Vitamins are vitamins. They all taste gross, they are mostly as big as horse pills, and are mostly unpleasant to taste. No sense in wasting a lot of your survival investment in something like a name brand like Centrum. Get the HEB, or Kroger brand, or even the Walmart brand. Vitamins are vitamins, and you need vitamins. If you listen to what I am saying you could probably get vitamins for 20$ a year per person, if you buy them in bulk. I hope this has helped you figure out what you are going to do to prepare for the worst. The way our government is going, how riots are erupting all over the world, and natural disasters are happening, its better to be safe than sorry. Please comment and let me know what you think.